The only purpose of the Hospital and Institution Committee of Alcoholics Anonymous is to carry the message of Alcoholics Anonymous to the alcoholic who is confined. The activities of this committee are based on, and governed by, the Twelve Traditions of Alcoholics Anonymous. 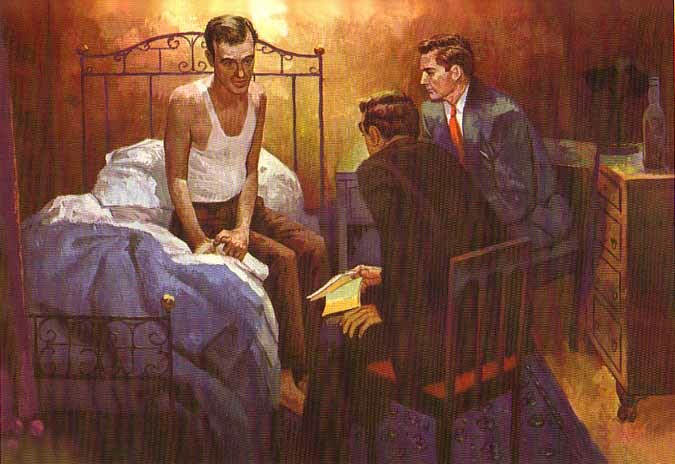 The only purpose of the Northern California Hospital and Institution Committee is to carry the message of Alcoholics Anonymous to the alcoholic who is confined. The activities of this committee are governed by the Twelve Traditions and based on spiritual principles embodied within the Twelve Concepts of Alcoholics Anonymous. Our intention is to simplify and unify the procedures for those who are interested in this type of Twelfth Step work. It is the express desire of this committee that all persons selected for specific assignments have the length of sobriety and experience levels which are listed under the qualifications suggested for that position, remembering that these suggestions are based on "that which experience has taught us". To the patient or inmate group within a facility. To the facility: courteous acceptance of and compliance with its wishes. To the Fellowship of Alcoholics Anonymous: namely, conducting ourselves in a manner above reproach, to ensure that we will not say or do anything that will reflect unfavorably upon the Committee or A.A. as a whole. Since our public relations policy is one of attraction rather than promotion, we serve in these facilities at the invitation of the administration, ever conscious of the admonition, "COOPERATION, NOT AFFILIATION". Refrain from swearing and the use of profanity, unrelated and off-color jokes, prolonged monologues of drinking stories and other types of self-indulgence. Respect full anonymity of inside members at all times. Respect all rules and regulations as outlined by the administration. Not intercede on behalf of any individual or group of individuals. Not engage in any controversy over management, treatment or personnel, being ever mindful of the single purpose of this committee. NEW! 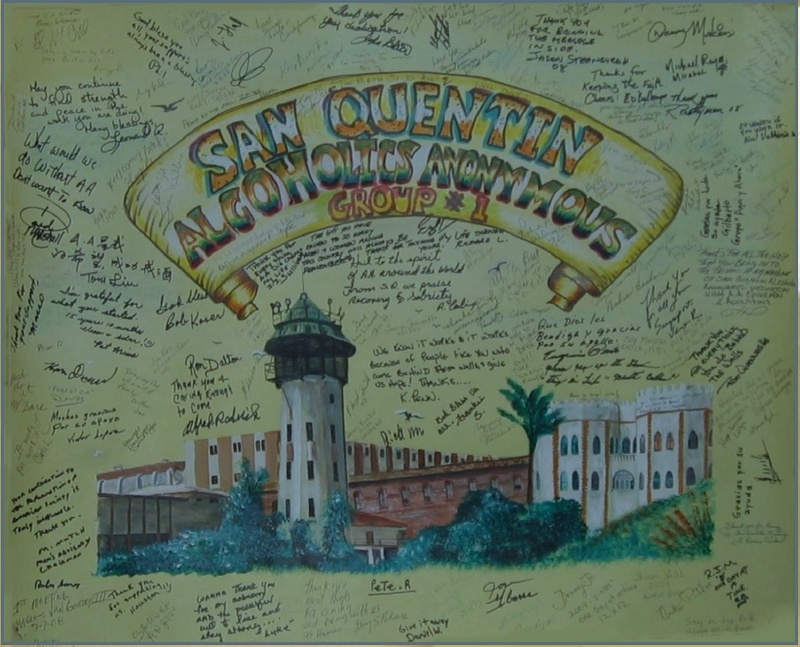 learn more about our pilot program for Inmate Visitation at San Quentin. Two or more members bring an AA meeting into hospitals, recovery centers, rehabs, community facilities, jails and prisons in Northern CA. Because the confined inmates and residents are often unable to purchase literature due to their circumstances, a selection of AA Literature is brought into the meeting and provided free to the members who attend; this is where approximately 90% of the money contributed to the H&I Pink Cans goes. There are a few ways to volunteer: in your local area or at a prison. Under the aegis of the 44 Areas within the H&I Northern California Committee we service hundreds of local hospitals, recovery centers, rehabs, community facilities and jails in northern CA. Under the aegis of the Major Facilities Coordinators of the H&I Committee, we bring meetings into approximately 25 State and Federal Correctional Institutions in Northern CA. To learn more, explore our map of Areas and Insitutions in Northern California we serve. The Northern California H&I Committee is an independent Ninth Tradition service committee of Alcoholics Anonymous. We are comprised of the thousands of volunteers throughout Northern California who bring meetings into the facilities we serve, the H&I Group Representatives elected by their groups, and the members of our Steering Committee who perform the business of the committee. All members are welcome and encouraged to attend our General Committee meetings, where they can express their opinions and vote on issues before the committee. Funding for our committee’s activities is provided by donations collected in the H&I Pink Cans passed at A.A. meetings, and by other contributions from individual members and groups. Over the years, these monies have enabled us to provide books to tens of thousands of confined alcoholics who would otherwise not have access to the life-saving message of A.A.’s literature. Because we are governed by the Twelve Traditions and guided by the spiritual principles embodied in the Twelve Concepts, H&I is committed to full transparency and accountability in all our financial activities. To make an online contribution, please visit our contribution page, or for more information on our finances, our Pink Cans and to view our monthly Financial Reports, please go to the Finances page. We gratefully thank the groups and members of the Northern California fellowship who so generously support the work we do. In their constant and over-ingenious quest for alcohol, several prisoners had consumed a highly toxic printing fluid containing wood and grain alcohols and various commercial solvents. Enthusiasm among A.A. members on the outside to participate in this type of service work grew rapidly. Rumor has it that when two groups from different cities showed up at the same time to conduct the evening’s meeting, the result was an altercation in the prison parking lot to determine who would go in - perhaps not the most spiritual way to decide the issue. This was before the existence of the A.A. General Service structure as we now know it, so in order to coordinate and organize the efforts of the many volunteers who wished to participate, our Committee was officially formed in 1946. Since those pioneering days, the Northern California H&I Committee has evolved into a fully functional, independent service committee, with over 40 local areas represented and thousands of volunteers participating in our service work. As of 2013, Northern California H&I provides almost 42,000 meetings a year, serving 22 major state and federal institutions and hundreds of local jails, hospitals, rehabilitation/recovery centers and other community facilities. One of the greatest factors in our success has been the implementation of our Pink Cans. Until 1957, volunteers had to either provide the literature for H&I meetings themselves or beg it from their groups, often stretching the group’s funds beyond their ability to pay for other A.A. services. Once again, God supplied the inspiration – why not pass a special can for contributions, entirely separate from the Seventh Tradition and solely for the purpose of providing the much needed literature? Oh, and we’ve got a bunch of PINK paint around.... The irresponsible had found another way to become responsible, common sense became uncommon sense and the solution has provided A.A. literature for confined patients and inmates for over 50 years, without detracting from the groups’ Seventh Tradition responsibilities. As a result of the funds available from the Pink Cans, the Northern California Hospital & Institution Committee has for many years been one of the largest purchasers of literature from the A.A. General Service Office in New York, thereby contributing greatly to A.A. World Services income. The question is often asked, “Now that A.A. has a fully developed General Service structure, with its own Corrections and Treatment Committees, why should NorCal H&I remain a separate, independent service structure?” Firstly, due to the above- mentioned funding structure of the Pink Cans, NorCal H&I has the financial resources and the ability to purchase literature that would otherwise put a severe strain on our World Service funds to match. Our Committee is answerable and responsible to those who fund us through the Pink Cans – the A.A. groups of Northern California. Secondly, and perhaps even more important, our committee pre-dates the General Service structure, giving us the many blessings of over 70 years’ experience in carrying the A.A. message to the alcoholic who is confined. We work closely with and are always ready to assist our brothers and sisters in General Service, and they with us; we are often asked to serve as consulting members of their committees, and we maintain a relationship built on mutual respect and common purpose. 1 AA Comes of Age, p. 72. AA World Services, Inc.
3 Duffy, Clinton T. The San Quentin Story, pp 169-170. Doubleday & Co., Inc.
7 AA Archives, Vol. 31, #1; also Pass It On, p.289. AA World Services, Inc.